Getting photos from your phone to your Chromecast hasn't been impossible before now, or particularly difficult, but there has yet been a Google-sanctioned approach to the issue. Now there is. 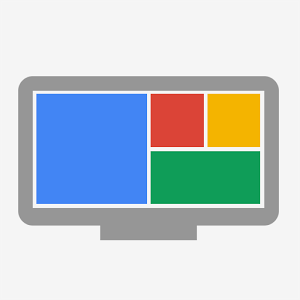 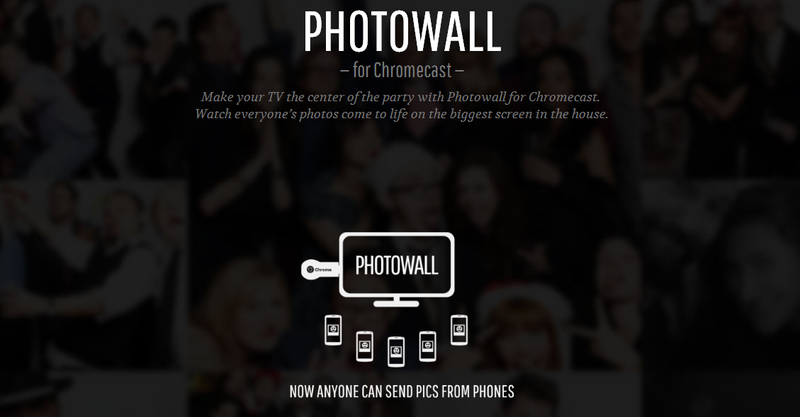 The company has rolled Photowall for Chromecast into the Play Store, where it's immediately available for download. 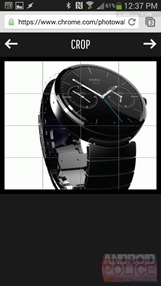 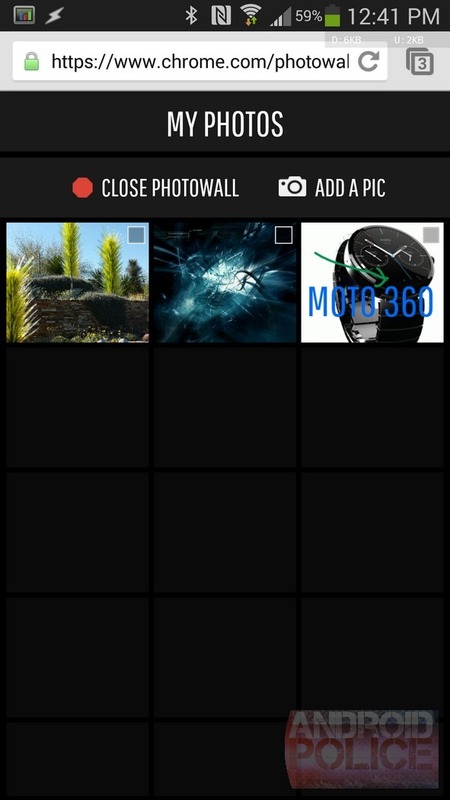 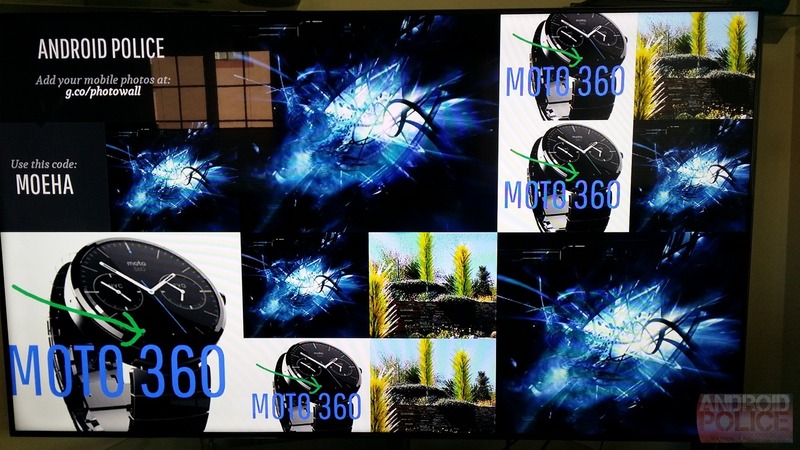 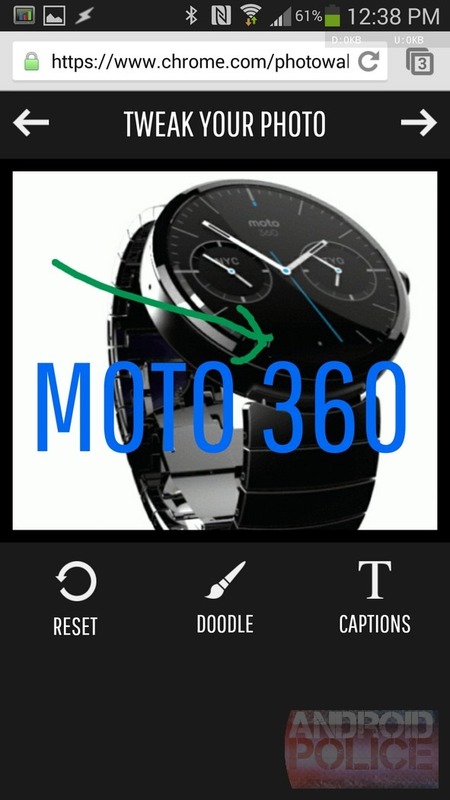 The app somewhat raises the bar on third-party alternatives, displaying pictures in a visually-pleasing grid that more than one user can update at once. You can use your phone, tablet, or even a laptop, and there's the option to edit images with bright, creative doodles. 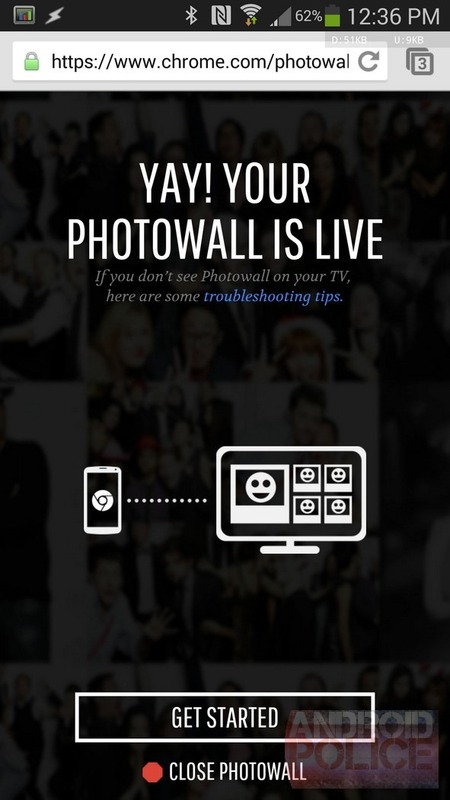 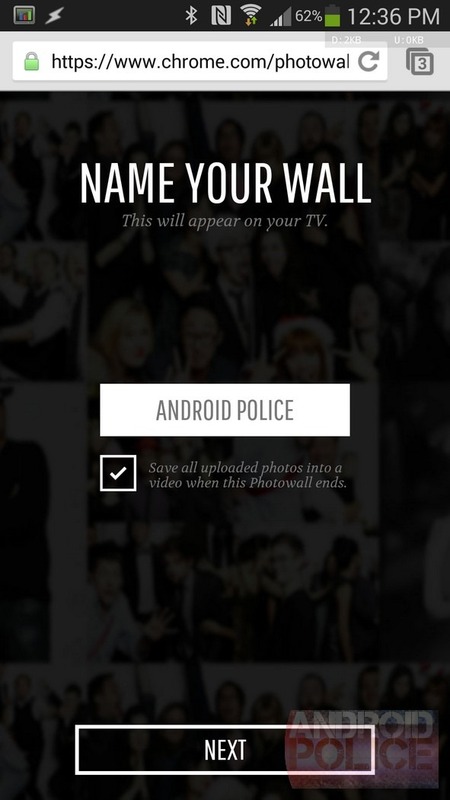 Afterwards, the app can generate a YouTube video of your Photowall automatically and share it with others. Unfortunately, since this is a Chrome experiment, all the app does is get you set up before shooting you out to perform the rest of these functions inside of a browser window. 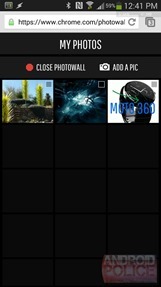 Note, the app is pretty crashy for some of us. 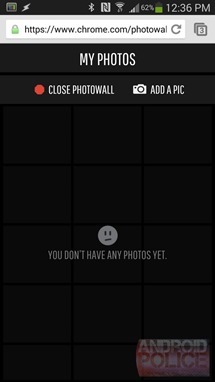 At the end of the day, it's a Chrome experiment, and there isn't much else to it. 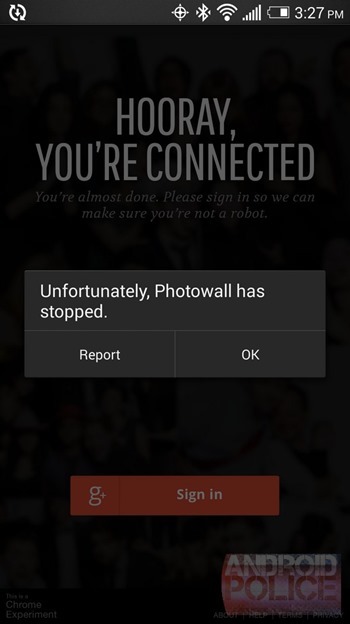 Here's my experience with it thus far. You will need a Google account in order to sign into the app. 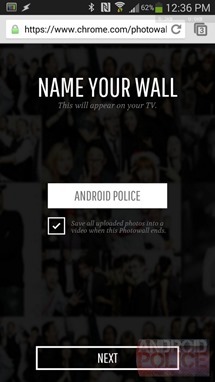 Aside from that, all you have to do is hit up the widget below to get started.